Find out what our valued clients have said about us. “At Calthorpe Estates our aim is to maintain the Estate to a high standard and provide our customers with an exceptional level of service. We take pride in creating the best place to live and work and look for partners, who share our passion and add value to customer services. Since Mainstay has been managing our rented portfolio, there has been a remarkable absence of customers calling directly to complain about poor service and for only the third time, since my 13 year involvement with Calthorpe Estates, we have achieved nil voids. This is clearly down to making sure customers are happy, properties are kept in good condition and quickly let, which leads to a reduction in income loss. There is a degree of trust and reassurance with Mainstay at the helm! The added value and all-round exceptional levels of service Mainstay have brought to our rental portfolio made it the obvious choice to appoint them on the wider residential element of our historic and prestigious estate in Edgbaston, consisting of 4,500 units. We are already well underway with the transition of management to Mainstay, and already we are seeing the benefits of their service delivery. We look forward to a long and successful partnership"
Jayne Herritty, Sales and Marketing Director for Calthorpe Estates. "When we moved to Mainstay as our managing agents we had a long list of problems in the building that had never been properly managed by our former agents. We had a couple teething problems with our first Mainstay property manager, but when we raised these to the Associate Director he took care of us straight away. Our new property manager Jake is fantastic!! He is responsive, helpful, upfront and patient. It has been a real pleasure working with him. He steadily helped sort out our long list of problems. And since then he and Penny, our Property Service Advisor, have always responded very quickly and proactively to any problems or potential issues. Plus, Jake has reduced budgets across the board even while increasing reserve funds and keeping plenty of buffer items. We are so grateful." "We have not met, although I have been living at Altamar for the last six months, as an “emergency tenant” - having been driven from my Mumbles home by frozen pipes during the harsh winter, and my own house having become uninhabitable. So I came to Altamar by a climate-change accident – though I shall be leaving for a planned reason, following the completion of repairs to my home: my last day at Altamar will be 4th November, which is the last day of my six-month sub-tenancy of Flat No.5 But, aged 83, I have thoroughly enjoyed the Altamar phase of my life. The flat has been ideal for me, well laid-out, and a good size for one or two people – indeed generous, for one. And there are two aspects of Altamar which I have in particular appreciated - (1) the on-site car park, as a ground-floor facility which is admirable - I appreciate that it brings its own management difficulties, but in the more competitive world to come, I am sure that it will constitute a strong marketing advantage; and (2) the calmness and courtesy of Billy, as caretaker – he has been particularly kind and considerate to me, given my current frailties. He has been totally reliable, very thoughtful and conscientious, and has made my stay at Altamar a real pleasure." "Vicky provides the beacon of togetherness within the team and this we believe allows us to gel and communicate with each other. Vicky and the team understand the core values of performing the role of a concierge and the individual needs of each resident. We have been living in other buildings providing concierge services, however we haven't experienced a team as efficient and friendly as the Glasshouse Gardens one. No matter how busy the team is, no-one ever fails to smile and offer professional assistance. The service quality hasn't had any impact with the number of residents increasing - quite on the contrary. The team, Vicky, Christina, Deren, Simon, Kamheil, etc. contribute to the living quality in this building. With their positive spirit and support they add a soul to the corporate Glasshouse architecture." "I am a long standing tenant in the Altamar building on Kings Road in Swansea and would like to express my gratitude for the way the property is managed. Lately a lot of construction has been taking place which could be disturbing but because of the professional management of Bill the caretaker and Julie Griffiths the property manager, this has been kept to an absolute minimum. I talk to Billy on a weekly basis and he is always very friendly and helpful. He also keeps the property immaculate, inside and out. A couple of weeks ago I had the pleasure to meet Julie in person and had a nice conversation about the property. Julie was very friendly and professional and more than happy to take her time and to answer all my questions. I couldn’t be any happier with the way the property is taken care of and managed. We can always find reasons to complain, but I can’t find any about the Altamar property management. And sometimes we need to express that." "We had an absolute nightmare in Timber Wharf over the weekend which involved no water. I do have to say that Kate Magill and her team were top notch in their approach and their efforts over the ensuing situation. I must commend Kate in particular for keeping everyone updated hourly and for hand delivering water to the apartment doors with a kind knock to check all was ok. A very stressful day for the team but a day which showed absolute resolution to the issue and made us feel confident that we had the right person in charge. Kate and her team should be commended for the weekend as many others would have faltered in what to do." "I and my fellow long leaseholders in Trinity Village find Jacob Saddington and his team to be professional, helpful and responsive. 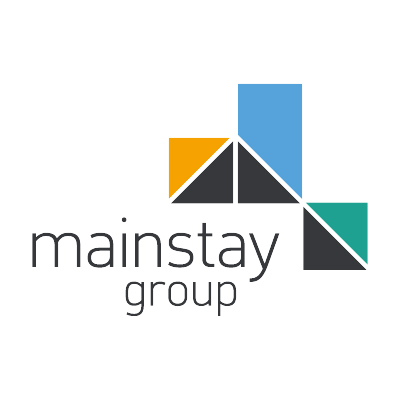 If anyone reading this would like further information and feed-back about Mainstay I give Jacob permission to pass my contact details on to him/her."